LeveLuk SD 501 Enagic’s Flagship Model The industry-leading continuous ionized electrolysis water generator system, the SD501 is the finest machine in its class. With the strongest electrolysis chamber available, fully-equipped with a built-in electrolysis chamber, and featuring a large LCD panel and clear voice prompts, the SD501 is the leader of the pack. 7-Platinum-plated Titanium plates comprise the electrolysis chamber. Water is essential for life, but it is often overlooked. It’s critical not only to drink water, but to drink the right water; find out how choosing Enagic water can truly change your life with a Kangen Water® system. Categories: Acidic food beverage, Alkaline food, Alkaline water, Chlorine removal, Countertop water purifier, water filter, detoxify, Hydration, improve health, increase energy, Ionized water, Kangen water, water therapy | Tags: alkaline water, anti-oxidant, Canada, Drinking water, electrolysis, Enagic, ionized water, Kangen water, Kangen® Water Enagic Inc., Leveluk R, made in Japan, micro-cluster, Montreal, Online ordering, ORP, oxidation reduction potential, Quebec, SD501, Worldwide | Permalink. Now, YOU too can take advantage of Enagic’s respect for ultimate quality, matched with a simple and effective entry model into the delights of water ionization. 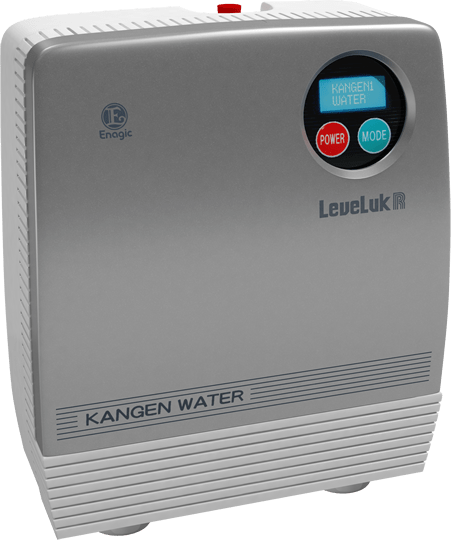 Deliver fresh, crisp, healthy Kangen Water® at the push of a button with our all-new-designed Leveluk R model. 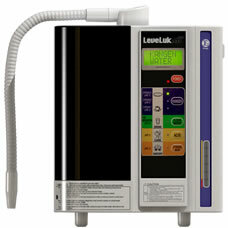 Categories: Acidic food beverage, Alkaline food, Alkaline water, Bacteria, Chemical reduction, Chlorine removal, Countertop water purifier, water filter, detoxify, Hydration, improve health, increase energy, Ionized water, Kangen water, water therapy | Tags: alkaline water, anti-oxidant, Canada, Dealer, Distributor, Enagic, ionized water, Kangen water, Montreal, ORP, oxidation reduction potential, Quebec, Worldwide | Permalink.